Father’s Day is here and too often we overlook buried treasure out in that garage. Gifting Parties in the Garage? Often I suggest that you host a gifting party to offload some of your unwanted kitchen dishes or home items but don’t overlook the garage. If you’re lucky enough to still have your Father around please enjoy him while you have him. Earlier this week I heard a woman share about the tools in the garage that she and her sisters fought for. 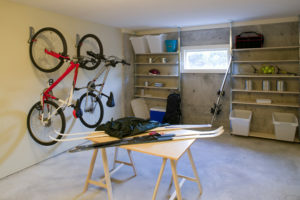 Dad’s often don’t realize that their garage is a goldmine to their family. Talk to the men in your family about who they might want to one day get the tools they’re no longer using. Dads and Granddads can be recognized and affirmed on Father’s Day with a new man-gift. Nothing says ‘man’ more than a new tool or a new place to put the tools. The men I have known like to pick out their own tools but we daughters, sons and wives can give them a new place to put them in order. 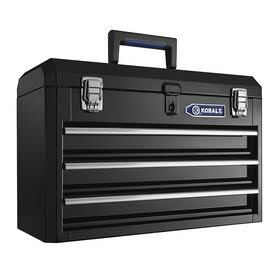 I’ve seen the joy and pride men have put into organizing their new tool box so it is my favorite suggestion for you to consider for this Father’s Day. I got a kick out of watching my husband carefully measure and cut the quieting cloth for the bottom of each drawer. Those men have put together toys, repaired those toys and bikes plus they have probably done some car work for their kids and grandkids; letting them know in a special way how significant they have been in your life has great meaning and shows them our appreciation. The only problem is deciding which one to give them. Take a tool tally and ask for some help at the hardware store.